Apply after showering, bathing, exercise or sauna. 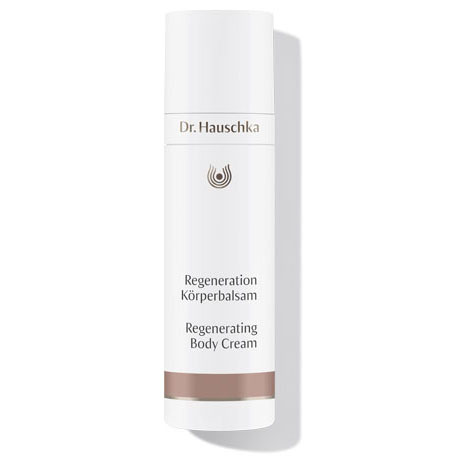 Regenerating Body Cream is quickly absorbed and provides long-lasting, intensive nourishment and care. For my mature skin, this nourishing product is ideal. It's a luxury I'm never without and I've noticed an improvement since using it regularly on my arms which are prone to flakiness. It smells heavenly and, as with all the Dr Hauschka products I use, I have confidence that I'm doing the best for my skin's needs. I really love this body lotion. I love this cream. Don’t need much but feels fantastic and absorbs quickly. Smells and feels lovely. Not sure it is making a huge difference but it’s lovely to use.